It's Friday! The week has just flown by! I'm sitting here eating my toast this morning ( not just any toast, cinnamon toast!) and I thought I'd take a moment to shout out the upcoming classes. All the while, trying not to drop too many crumbs into the computer keyboard. It's a Hexi Day Saturday at the Blue Hen! Strip Lash in the morning and Turtle Time in the afternoon. And perhaps you'd like to stay for Turtle Time with Jody too! Yep! 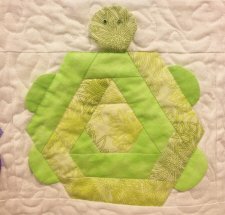 That turtle is a hexi! Saturday, April 30th, 1:00 - 4:00 pm. These little critters are dimensional! And fat quarter friendly! 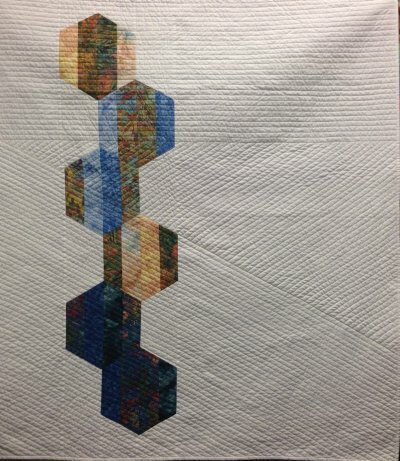 Next weekend, Saturday, May 7th, is Free Motion Machine Quilting with Erin Underwood (that'll be me!) 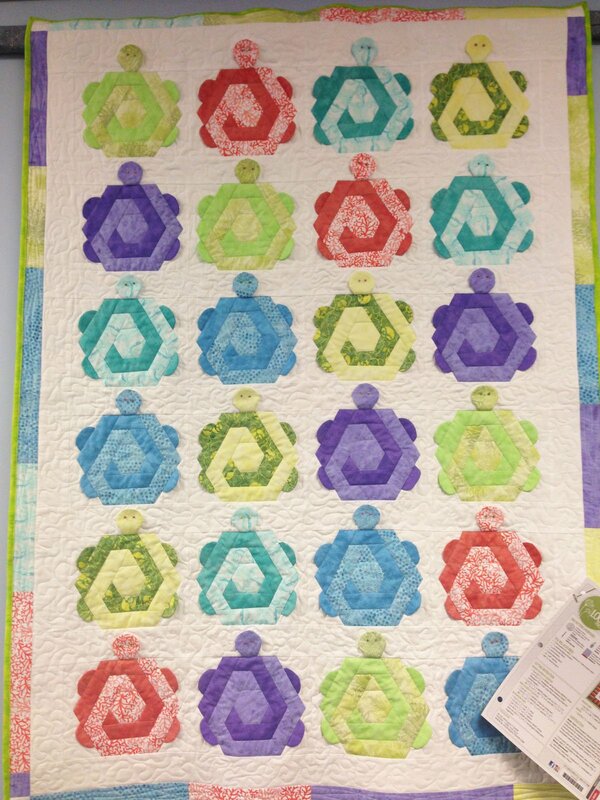 This class is designed to get you started and keep you going with machine quilting. 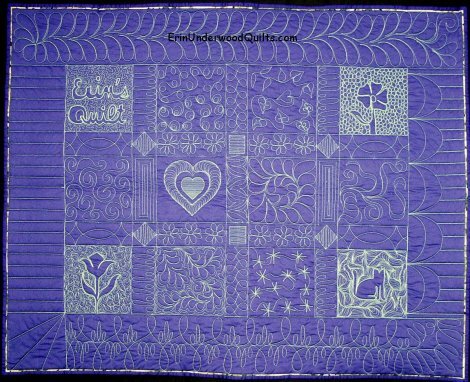 We will talk a little bit about thread, needles and batting then we put a quilt sandwich together, work a little bit with your walking foot before we move into meandering and loopty loops! And that's just before lunch! By the end of the day, we are doing feathers! Come join us - there's lots to learn for the everyone! But the really cool project is Wednesday, May 11th! 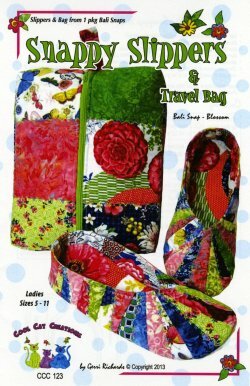 Snappy Slippers with Jody Beitzel! Get your own personalized slippers done in a day! Any color, Any size! They look complicated but they're not - who knew shoe making was so simple! Hope to see you today - it is Sewing Bee Day. I'll be working on the long arm all day! Want to join me?